Scotland is known for its traditions, architecture, and the famed old-world charm, which make it a clear favorite for people traveling to the United Kingdom! Glasgow, the largest city in Scotland, is full of charming surprises for everyone. Be it unalloyed nature, classical architecture, or curated experiences, the city has got you covered. 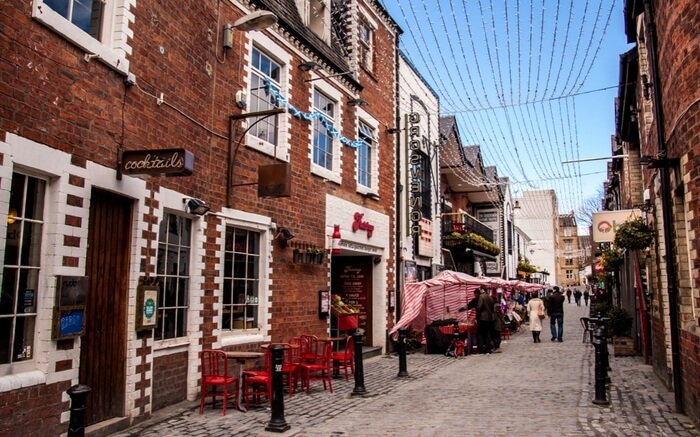 If the Riverside area is a highly-recommended spot with plenty of attractions, port area, and history attached to it, the rustic charm of the West End would leave you spellbound for sure. Moreover, a visit to the Necropolis – the largest cemetery in Europe would only test your dare quotient! The list is endless. 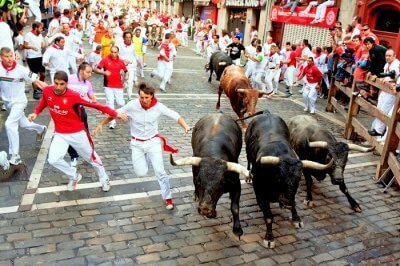 Actually, the entire city is an assembly of enchanting encounters tailor-made for the experience-seeker in you. 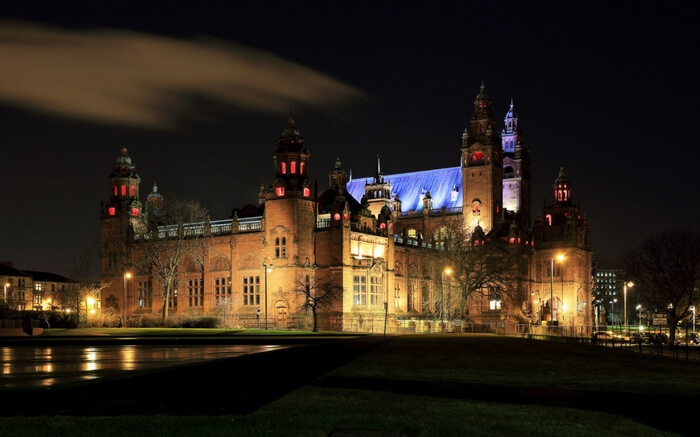 All you need is a comprehensive list of things to do in Glasgow! So, here are the top activities that present before you the Scottish port city like nowhere else. 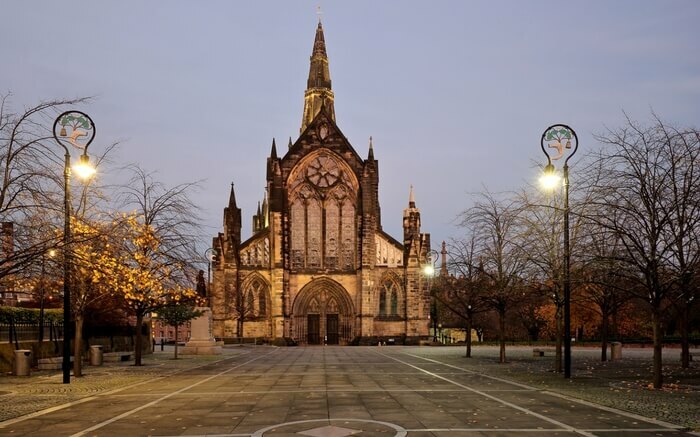 By planning a day trip to the Glasgow Cathedral you cut lose yourself to delve deeper into the city’s religious past and wonderful present. This place has history and bliss written all over it. So when you are at the Glasgow Cathedral don’t forget to notice the fine details in the majestic creation. Would you dare to visit the largest burial ground in Europe? Head to The Necropolis Cemetery and see for yourself. 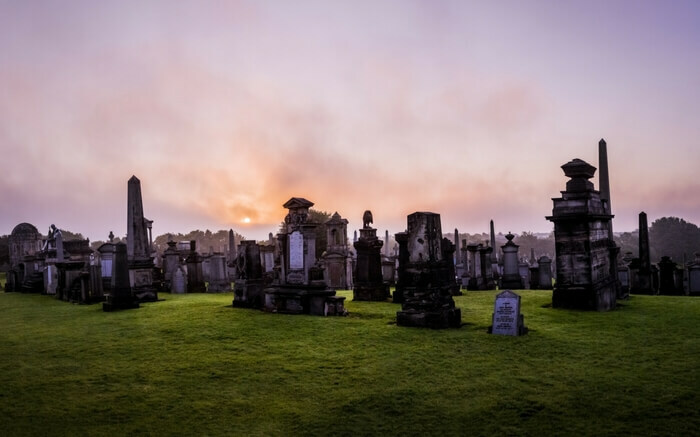 A visit here is one of the most popular things to do in Glasgow is know to be the remembering place of more than 50,000 deceased. Walking tours and conducted events are organized to show visitors the kind of wonderful architecture, sculpture and fascinating stories it has associated with it. Located so close to the Cathedral, this is the place where you can spend plenty of time and read the epitaphs written there. 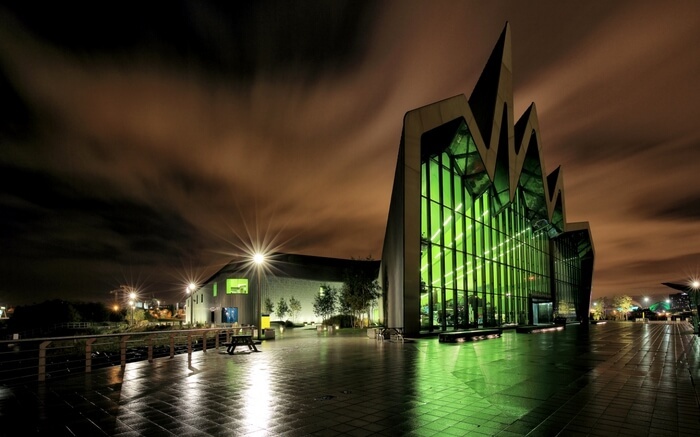 The Riverside Museum is clearly the most popular city attraction in the City Center area. And exploring it could be among one of the most popular things to do in Glasgow. The museum located in the port area is epitomized by tall ships and ancient architecture. It is from here that people take the Clyde River Cruise. The clobbered streets, vintage cars, and bicycles displayed in the museum and vibrancy around makes it a perfect place to visit in the city center area. The grand park designed on the lines of Victorian architecture is a pure class act in the heart of Glasgow. Stretching 24-hectare in the area, the park sits on the banks of the River Kelvin. The most prominent attraction of the place is Art Gallery and Museum. The Kelvingrove Park was awarded Green Flag in 2012 for having quality parks and greenery around. If you are a nature & plant lover, this place is just perfect for you. 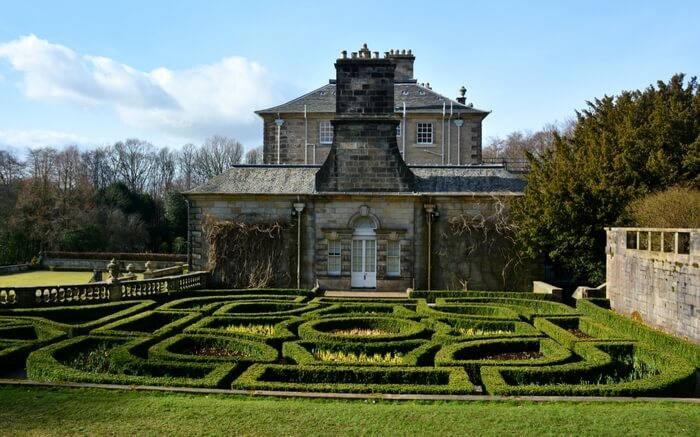 Pollok Country Park is known as Glasgow’s largest park with a wide span of woodland, and greenery. There is a wonderful sanctuary inside for the untamed wildlife and visitor section as well. The park, which is also an ancestral home to the Maxwell Family and is a former part of the Old Pollok Estate. In 2008 Pollock Country Park was awarded as Britain’s best park. Suggested Read: What If You Could Buy An Entire Island At The Price Of A Mumbai Apartment? Well, You Can! This is a family place where loved by kids the most. With the perfect entertaining atmosphere and wonderful surroundings, this place looks so ideal for a family outing, having something or the other for people of all age groups. 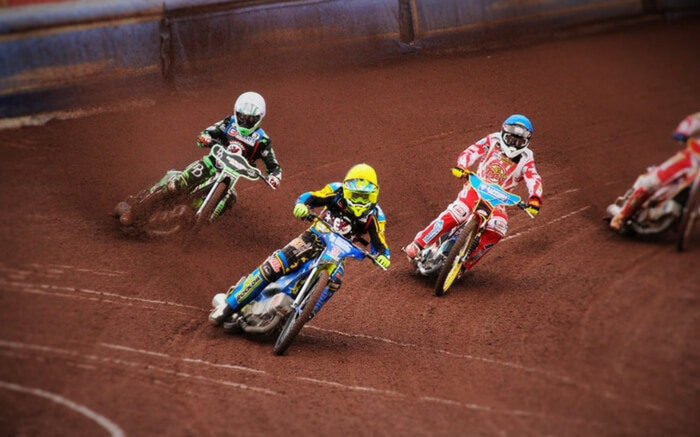 It is here that you get to see the Glasgow Tigers – one of the oldest Glasgow Motor Racing team, in action. The stadium, tracks, and positive vibes account for a memorable day in the heart of the city. First of all, let me share the good news with you! 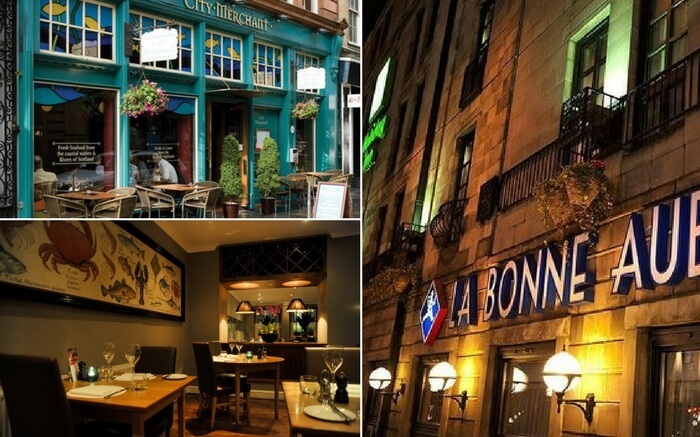 Glasgow is popular for its restaurants and nightlife. Now that you’ve roamed around for a while, you’ll definitely need to hog a lot! And what could be a better place than the city center itself? This place has some of the top-notch eateries in Glasgow and you can’t help but munch on the special delicacies of Scotland in the offering. Go through their extensive menu that offers authentic Scottish dishes, you are definitely going to love their traditional delicacies. 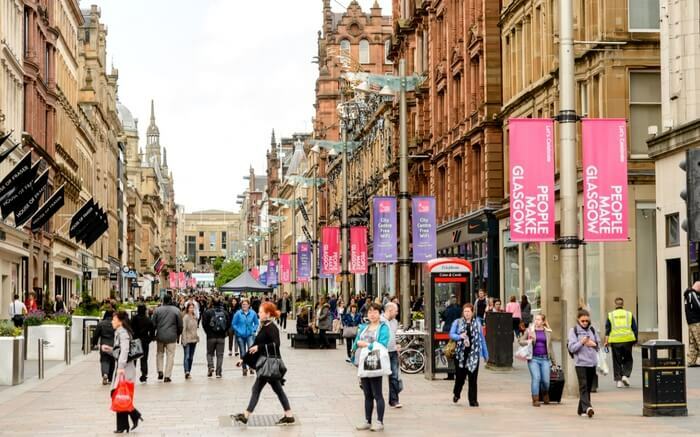 The West End makes for an ideal attraction when you are sampling ideas for the most prominent things to do in Glasgow. One of the most lively places to visit in Glasgow, you can walk into any random building here and end up being pleasantly surprised. This place has an array of Victorian architecture, public parks and gardens, and restaurants, pubs, and shops. 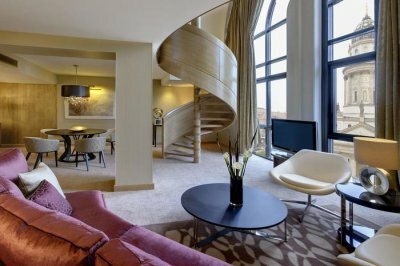 You can also opt for a range of activities here! 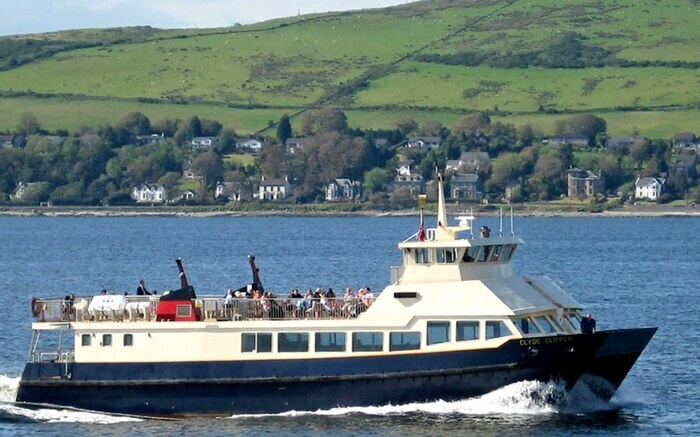 Cruising across the Clyde River is one of the most exciting things to do in Glasgow. As you ride the boat across the river, you get to marvel the surreal views around. The Glasgow city cruise allows you the breathtaking views around the city center area. Buchanan Street is exactly how shoppers heaven looks like! The grand shopping paradise looks exactly like a picture-postcard lane studded with shopping arcades, stores, and marts. House of Fraser, Clones Square, and other designer stores constitute the best of your shopping experiences here. One regular day most of these shops are opened till 7 pm. 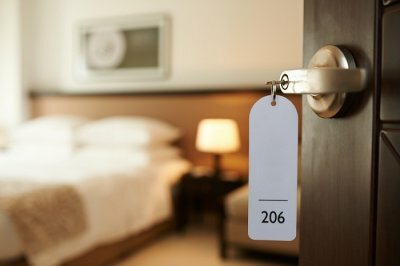 If you are traveling to the UK and miss out on Glasgow, you certainly are missing a great deal! The remarkable Scottish city sports the best of Victorian art and Nouveau from the 18th to 20th century. Further Read: 15 Best Places To Visit In Scotland On Your Next U.K. Trip!